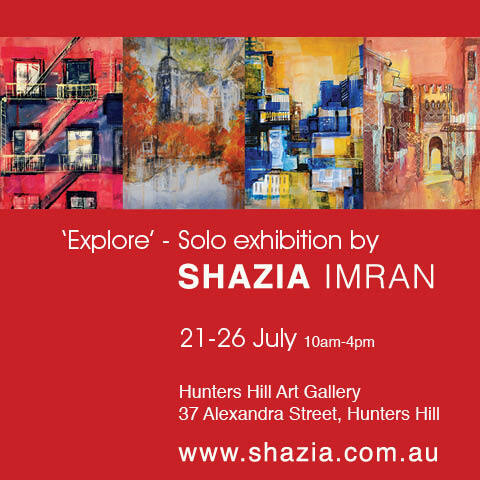 'Explore' showcases mixed media paintings and bronze sculptures by Shazia. The mixed media collection included in this exhibition explores the vibrancy of the urban landscape by depicting interesting shapes, reflections and forms within the impressive skyscrapers. Entry is FREE. Hope to see you there!